Michael Bay, a Malibu mansion, a tiger, an 18 foot tall transformer and an Oscar winning special effects artist kicked off this Verizon FiOS campaign. Verizon spent over 20 billion dollars on their fiber optics program so that customers could have the fastest internet speeds, the best quality picture and sound on TV. The challenge was people already had Time Warner, Comcast and other options, so how do you get them to switch? Go big. Verizon had the money to do whatever they wanted. And they did. It all came down to, Awesome! 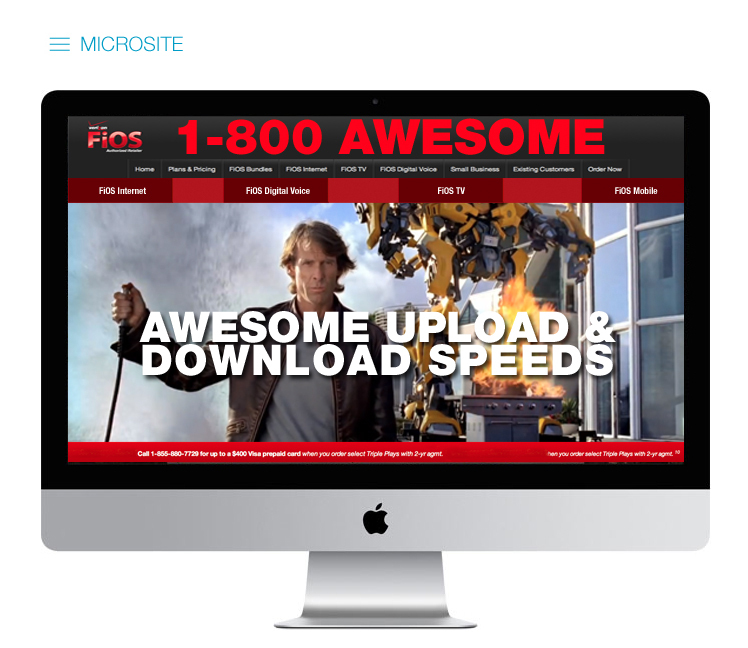 This campaign created a major spike in sales for Verizon FiOS.